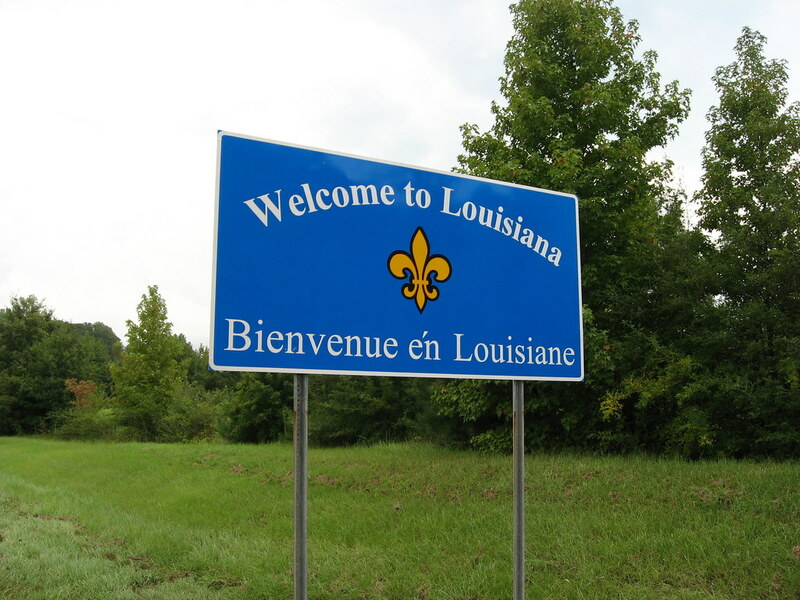 Every map of Louisiana is a lie – what it really looks like will scare you. The frequency and strength of major climate events is ravaging the country while conservatives and corporate America deny the science behind the problem. 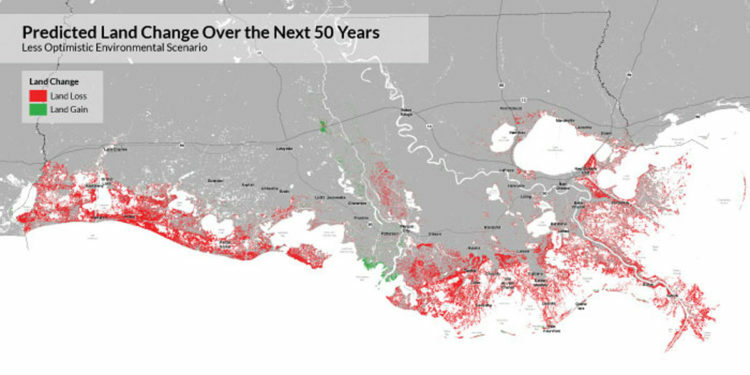 “We’re sinking faster than any coast on the planet,” explains Bob Marshall, a Pulitzer-winning journalist in New Orleans. Believing that a “truer image of the state could overcome those obstacles, Anderson and Matter “pushed forward” with creating their own “alternate” map. 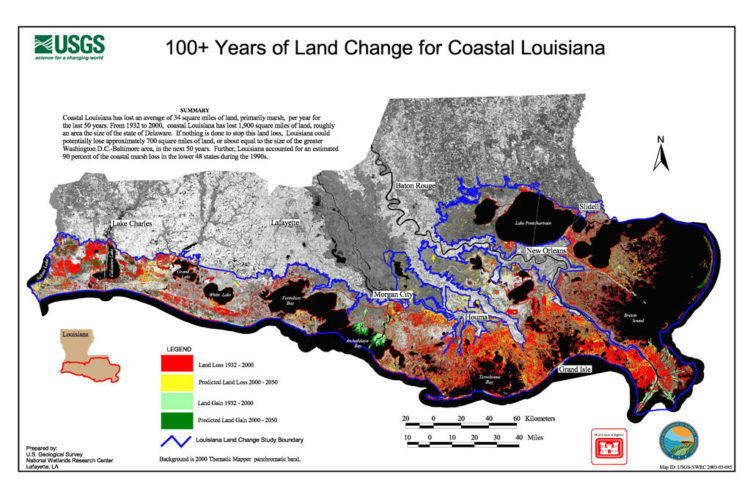 The map below of Louisiana’s southern coast further illustrates the change with orange areas representing land lost between 1937 and 2000. And one more image showing the anticipated land change from 1932 to 2050.